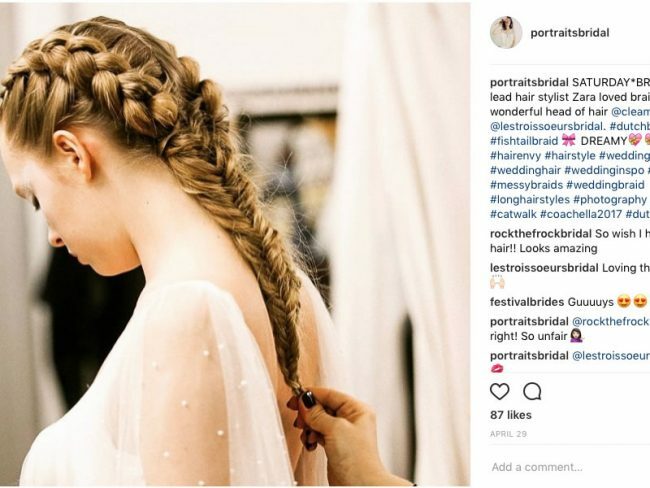 Just like picking the best bridesmaid dresses for your girls, if you’ve saved loads of bridesmaid hair ideas to your Pinterest board and are still no closer to choosing your bridesmaids’ hairstyles for the wedding, we asked celebrity hairstylist, Vicki Lord, for her favourite bridesmaid hairstyles for 2019 and how you to achieve them. Choose your bridal hairstyle first and then the hairstyle of your bridesmaids. 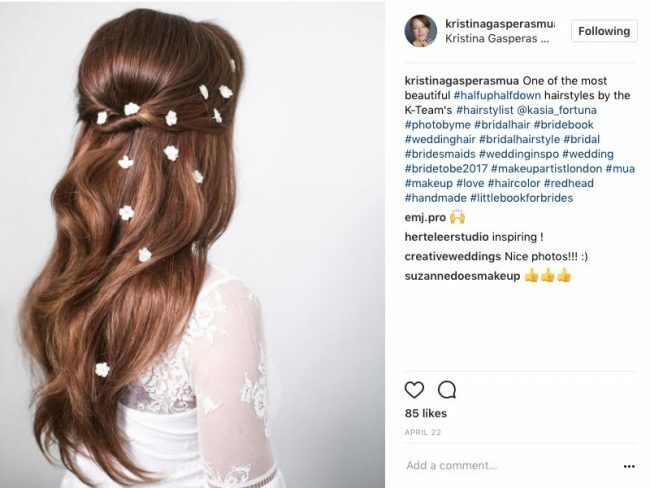 A good hairstylist will be able to come up with wedding hairstyles that suits all of your bridesmaids and still be in keeping with your bridal theme. Even though you want your bridesmaids to look pretty, ensure that they enhance your look, rather than overpower it. Remember it’s your wedding and you are the main focus of the day. Make sure your bridesmaids’ chosen hairstyles tie-in with your wedding theme. It’s important for your bridesmaids hairstyles to complement their bridesmaid dresses and the overall look and feel of your wedding. If your bridesmaids have matching dresses, why not opt for mismatched hairstyles? It is nice to have a uniformed look for the bridesmaids (perhaps a prettier adapted look for the younger flower girls, and a slightly different look for the Maid of Honour) and this can be as simple as changing the hair accessory or adding an extra braid. If you’ve opted for mismatched hairstyles for your bridesmaids, why not bring them together with coordinated wedding hair accessories? 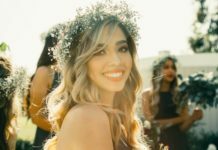 Every bridesmaid will have different hair – some of your bridesmaids may have fringes, some may have side partings, middle partings, or be accustomed to wearing their hair away from their face, and some bridesmaids may need hair extensions for your chosen style. 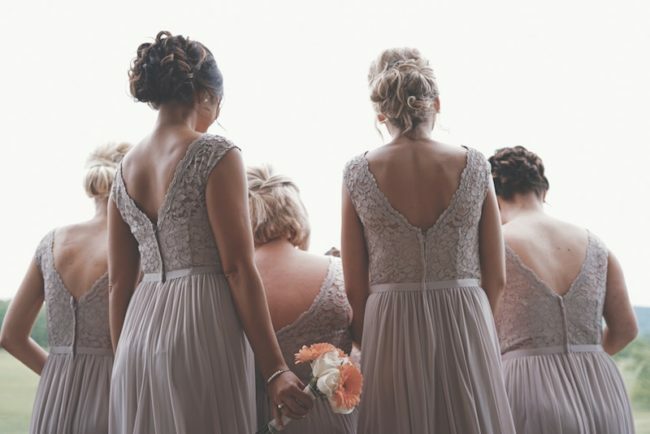 The bridesmaids’ hair will almost definitely vary in style, length and texture, and so all of these factors must be considered when choosing your bridesmaids hairstyle. But your hairstylist should be able to tweak each hairstyle to suit each bridesmaid. Does the bride choose the bridesmaids’ hairstyles? As the bride often chooses the bridesmaid dresses, the bridesmaids tend to choose their own hairstyles for the wedding. But remember it’s your wedding so just as the bridesmaids’ dresses should complement your wedding dress, their hair needs to complement yours. 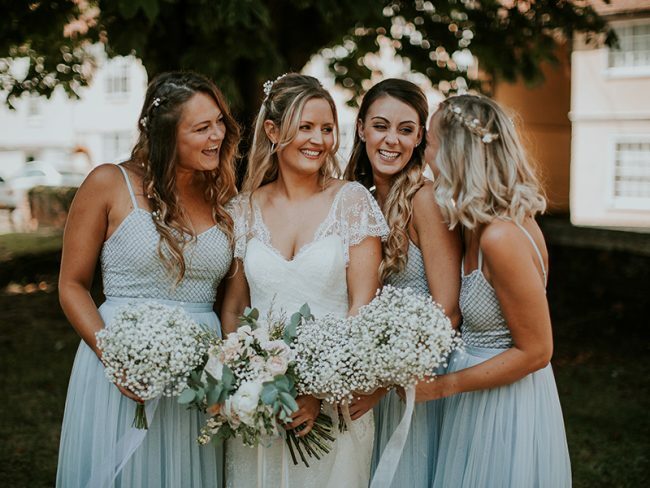 Allowing your bridesmaids to choose their own hairstyles allows them feel more involved in the wedding and to express their individuality – especially if you’ve had full control over their bridesmaid dresses. 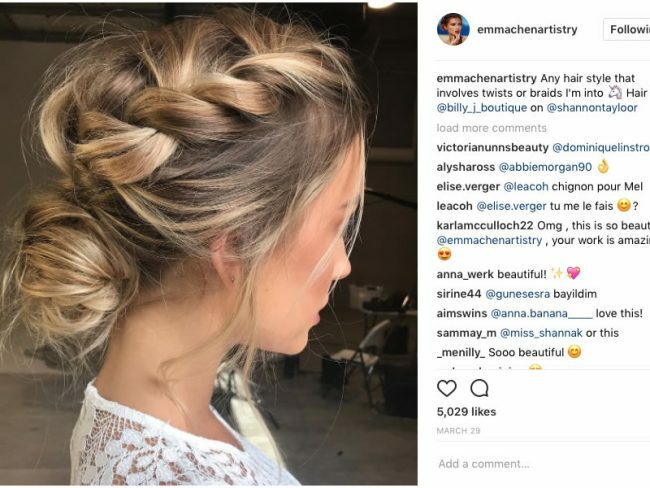 And if all of your bridesmaids are wearing the exact same dress, contrasting bridesmaid hairstyles can look fabulous – and help to highlight your unique bridal look. 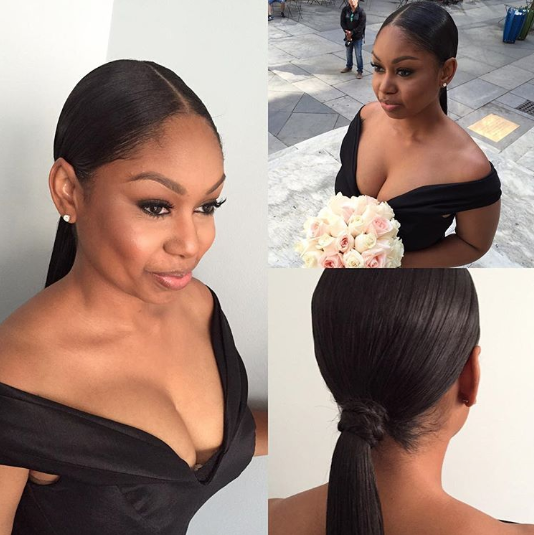 Do bridesmaids have the same hairstyle? If some of your bridesmaids have long hair, and others have short hair, they won’t be able to have perfectly matching hairstyles. 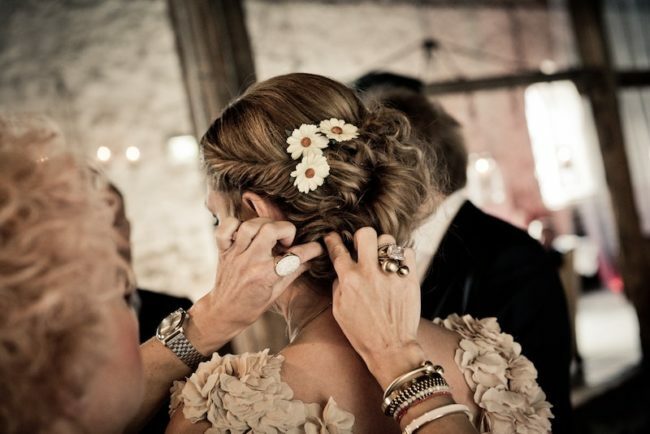 While your bridesmaids’ hair styles don’t need to be identical, they should all follow a general theme. If you want your bridesmaids to have the same hairstyle, keep the style simple, so that it can be adapted. 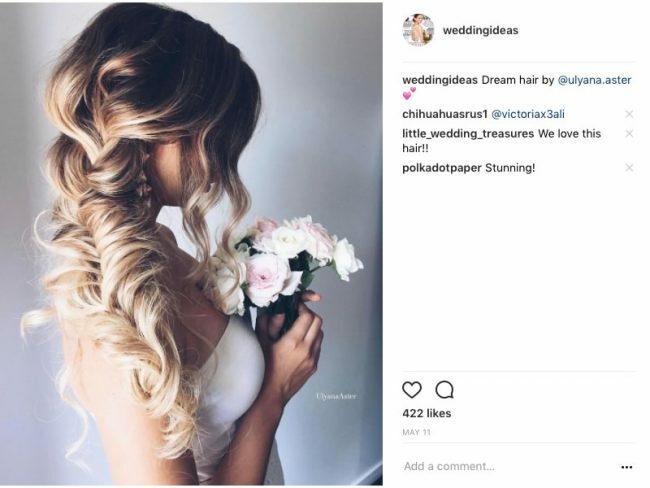 For example, if you were to choose a half-up half-down style, you would then look at each bridesmaid and consider how it can be adjusted slightly to make it suit their face shape and hair type. 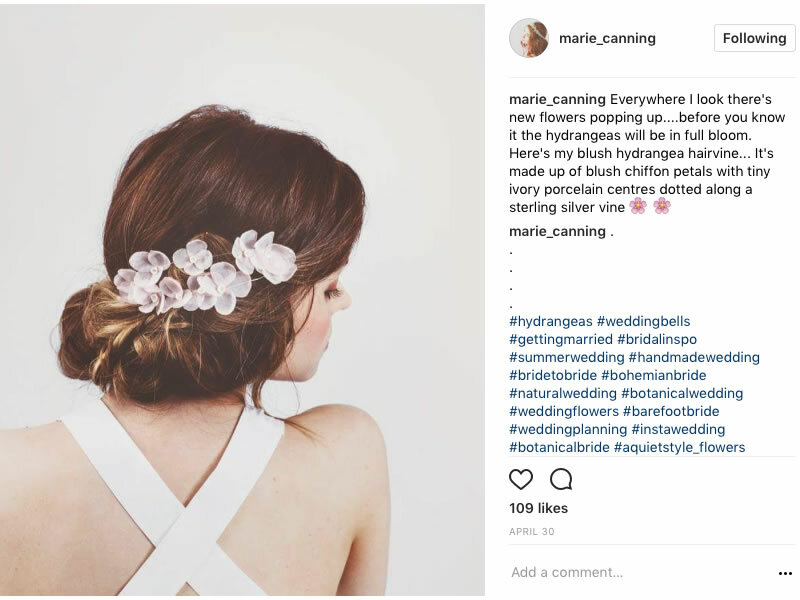 If your bridesmaids are choosing their own differing hairstyles for your big day but you’re really keen to coordinate all of your girls and still have an element of control, why not go with matching hair accessories? What do bridesmaids wear in their hair? 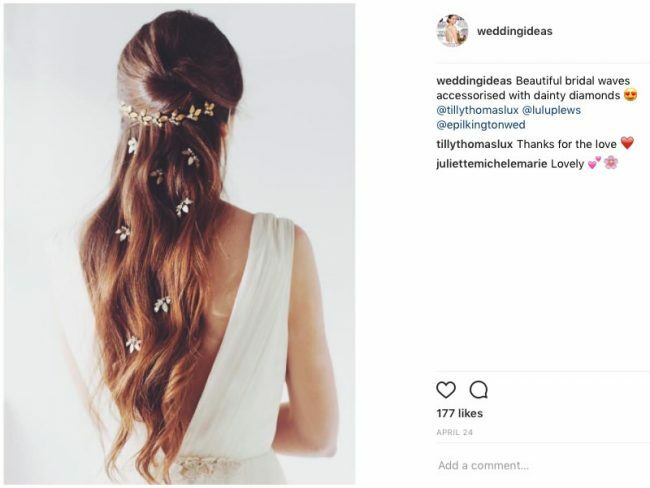 When choosing wedding hair accessories for your bridal party, look at your overall wedding theme and your vision for their looks. 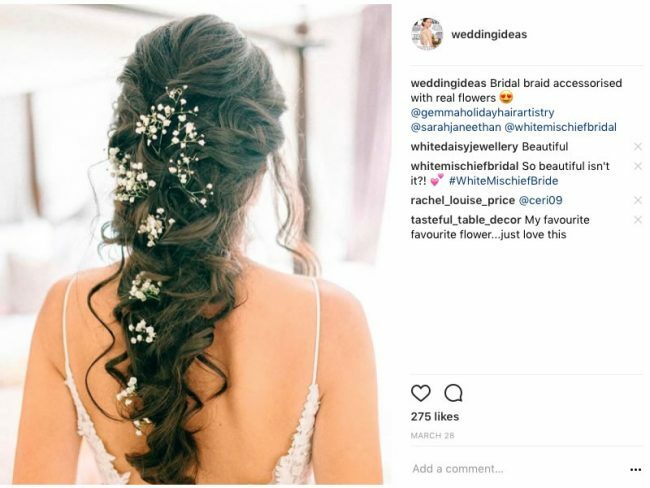 For example, if you’ve got a boho wedding theme running throughout, weaving real or artificial wedding flowers into your bridesmaids’ plaits or braided hairstyles could work really well. Like with your wedding dress, choose the bridesmaid dresses and hairstyles first and then look for accessories after you have decided on them. 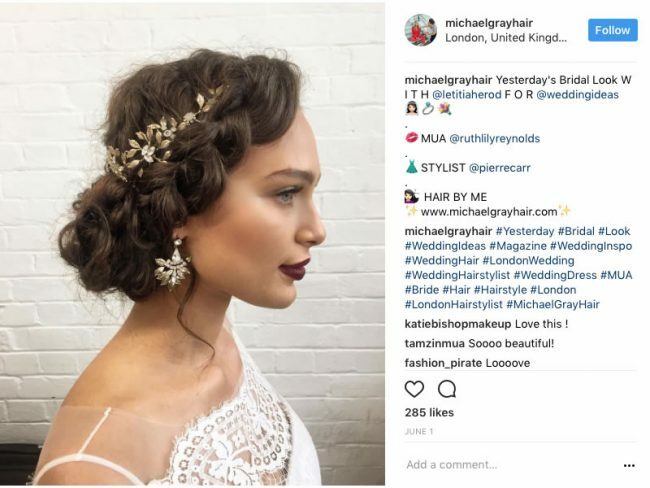 Getting wedding hair accessories right for all your bridesmaids can be a difficult task when they all have different hair lengths and colours. Keep it simple with a delicate comb or pin that can be added into any hairstyle. Lisa continues: “This year I have done quite a few matching combinations for the bride and her bridesmaids. “The bride has the larger show stopping piece and the bridesmaids have a toned down smaller version that complements the bride. 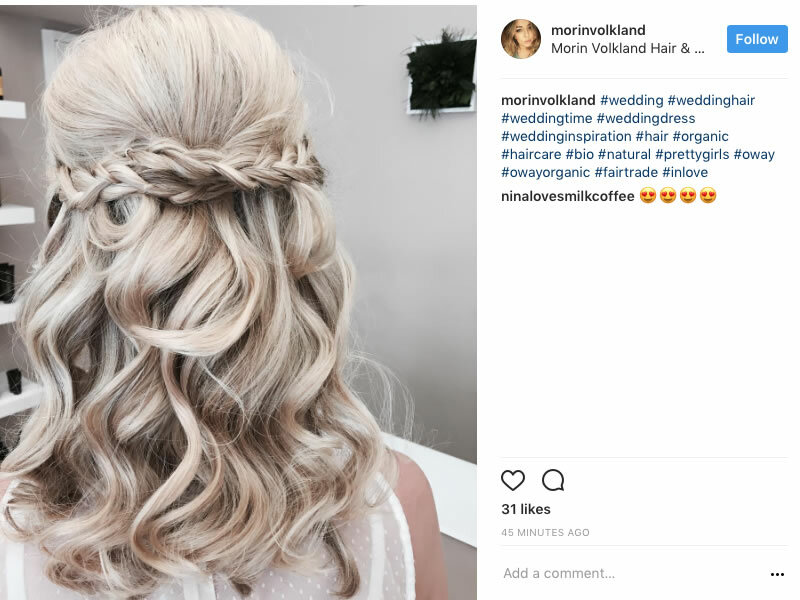 Who pays for the bridesmaids hair? 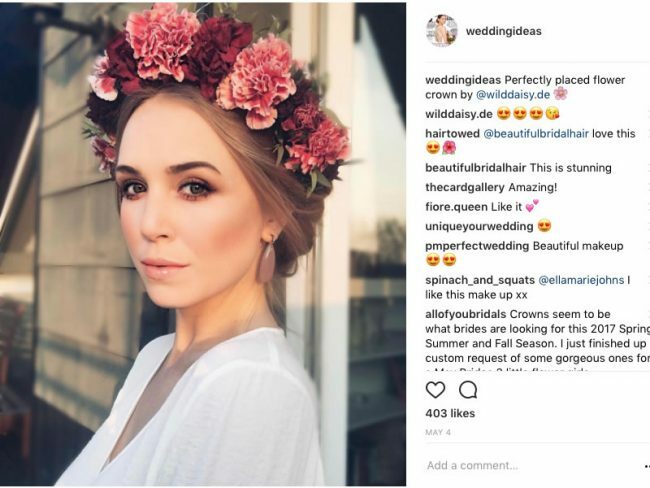 It completely depends on the bride and the wedding budget when it comes to whether the bride should pay for her bridesmaids’ hair and makeup. If paying for your bridesmaids’ hair is something that fits into your wedding budget then go for it! 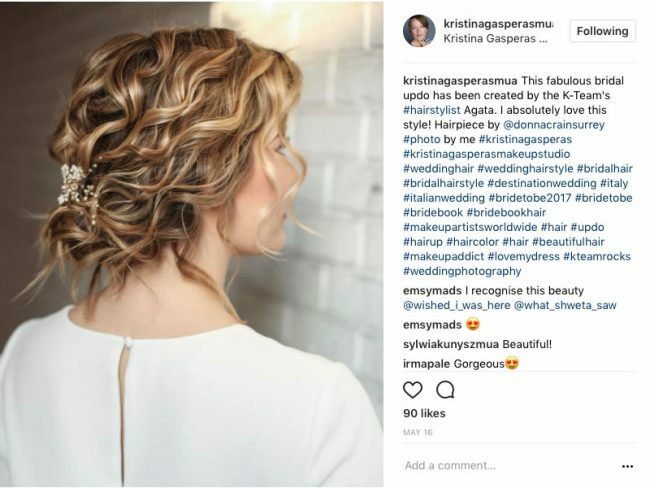 Some brides opt to cover the cost of the bridesmaids’ dresses to thank their friends for their support and make it more affordable for them to be a part of the wedding then leave the hairstyle choice and payment of hair and makeup to them. But if you’re insisting on choosing your bridesmaids’ hairstyles and that they wear their hair a certain way, make sure you put aside a bridesmaid budget to pay for them to have it done professionally, to alleviate the stress of them doing it themselves and it not looking right. Big is back! We are seeing super-sized vines, tiaras and even over-sized bobby pins. 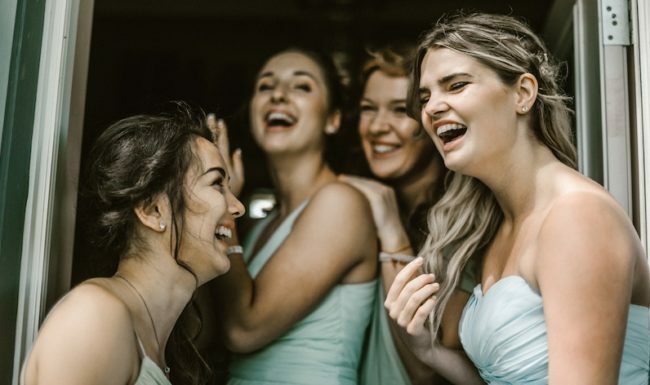 Whatever you and your bridesmaids choose to wear in your hair, make sure that you take it with you to your hair trial and ask your stylist to take photographs from every angle. Braids are very much the ‘in thing’ for 2019. Best worn loose or wrapped around the back, the mark of a good bridal hair specialist is how well they can plait! Is it even a wedding hair round-up without a boho braid in the mix? Even if your bridesmaids’ hair is quite short, hair pieces can be fitted which means that they too, can rock this trend. Summer brides should think about using real or fabric flowers to give their girls’ hairstyles a fun and feminine finishing touch. There will always be bridesmaids who simply want to let their hair down. Perfect curls are hard to achieve, but a good hair stylist will know how to create them, and give them staying power. We rarely see bridesmaids with poker-straight hair, so curls are one of our most popular bridesmaid hair ideas. They are a great way of giving hair added bounce. Invest in some good hairspray to keep the volume pumped up all day. Bridesmaid hair ideas and styles should reflect their individual face shapes. Consider that up-dos may not suit everyone – ask them which hairstyles make them feel most comfortable and work with that. Tie the look together with similar accessories in the hair instead of giving everyone exactly the same ‘do. A bridesmaid number one must-have product on the big day should be some dry shampoo. She can refresh her style (and yours) from day to night and also helps to keep your curls from falling flat.